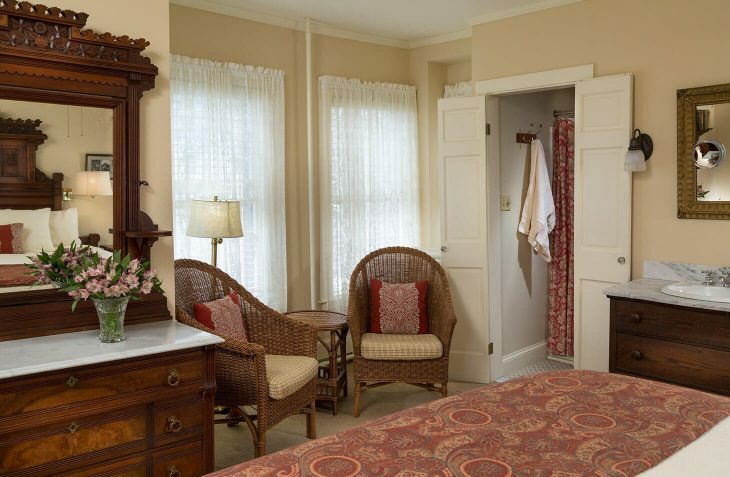 A corner room in our Maine Coastline bed and breakfast that gets great morning and afternoon light that reflects the room’s warm shades of gold. 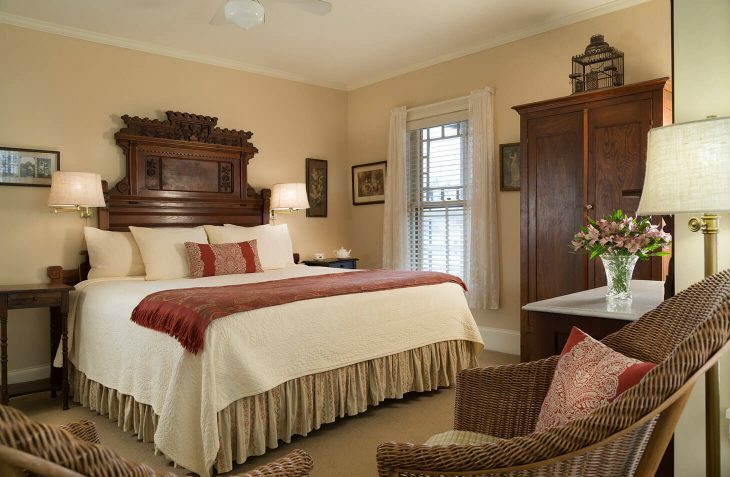 The king size bed has a fanciful Eastlake headboard of carved flowers with a matching marble top dresser. The sunny afternoon seating area offers a great spot to read or enjoy a glass of wine. Original vintage artwork sets a quiet mood. 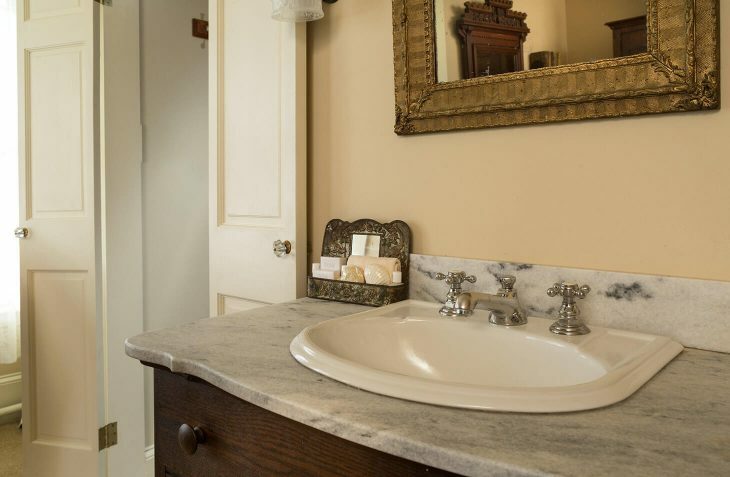 The private small bath has a tub and shower and antique marble top sink.